Chicken or fish? Flowers or candles? To invite that second cousin you haven’t seen in 5 years….or not? Let’s face it: wedding planning can be a full time job. Oh, and let’s not forget finding the dress of a lifetime to wear in front of your nearest and dearest. Plus, along with an endless supply of to-do’s, choosing a bridesmaid dress that flatters a range of body types can be a tall task (We’ll excuse you as you contemplate eloping). Attention: We interrupt your pumpkin spice latte sipping to remind you that it’s Fall wedding season and you most likely have some I do’s on your calendar (maybe even your own!) And since the dawn of a new season can bring on alllll kinds of crazy, we figured we’d give you a ‘lil style boost. Whether you’re a bride seeking a last-minute look or a guest in need of some fashion help, we pulled 4 dresses perfect for a Fall happily-ever-after. Depending on which wedding attendee you are, scroll below for our black tie picks. 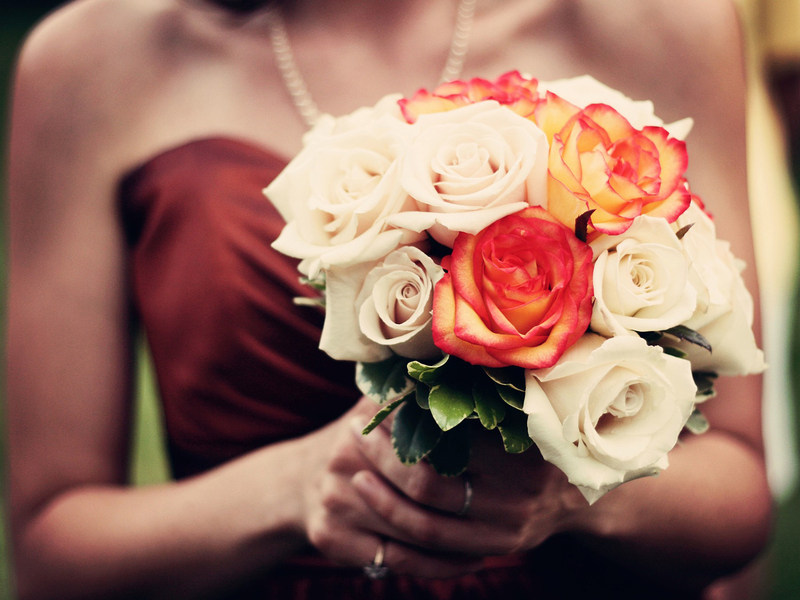 Brides, narrowing down a color palette for your wedding can seem overwhelming. As fall continually competes with summer as a top wedding season, color palette ideas may also shift depending on the date of your nuptials. Color also plays a major role for bridesmaid dresses. Step aside, summer brights; autumn is a time for warm shades that complement the crisp air and scenic foliage. Set the tone for a picture-perfect wedding day with rich hues in a classic empire silhouette for your girls. 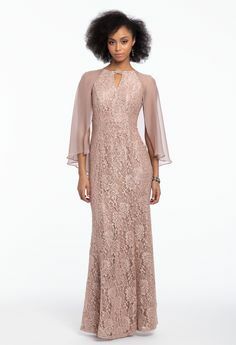 Check out our favorite bridesmaid dresses for fall, all from the Camille La Vie collection, that will have your ‘maids standing chicly by your side from morning ‘til night. You’ve been scoping out venues, contemplating vendors, and your adrenaline has only skyrocketed since the engagement; congrats! You’re a #feyonce. Now the first order of business: where to get married? From scenic vineyards to blooming gardens to slick black tie affairs in the heart of the city, wedding locales are more unique than ever. And almost (if not equally) as important as nailing down the perfect venue is nailing down flawless style to complement it. Well, we took the guesswork out of that. Scroll below for 5 types of weddings and the bridal style inspiration for each, straight from the Camille La Vie collection.